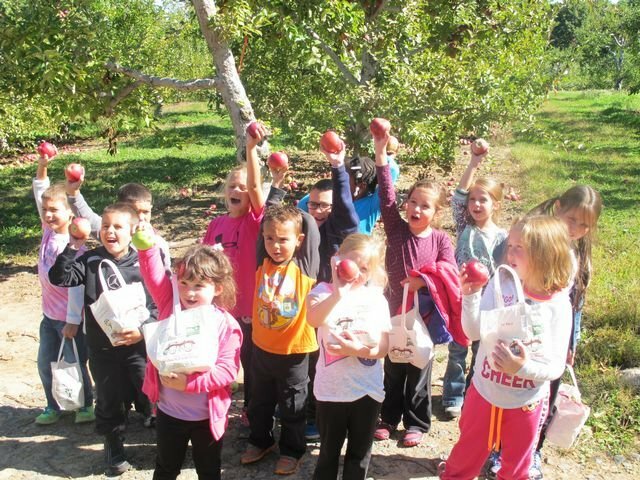 On Friday, October 3rd, First Grade students at Wakelee Elementary School visisted Rogers Orchards in Southington, Connecticut. The students walked the grounds, searching for the perfect apples to pluck from the trees. After the long hike and apple picking, the students visited the bakery for apple cider and freshly baked donuts.